The Apple iPhone 3GS is a touchscreen phone packed full of features. To get the most out of your phone, you’ll need to treat yourself to a few extras – but what do you need? 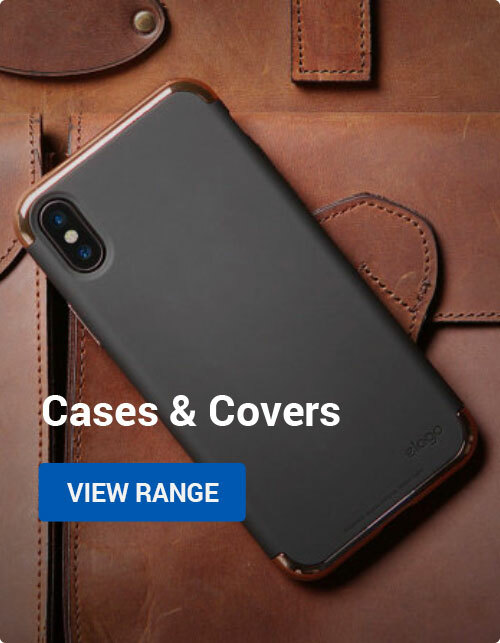 The amount of iPhone 3G Cases and other accessories available for phones now is almost overwhelming, so to help you out, we’ve compiled a list of our top ten accessories for the Apple iPhone 3GS and iPhone 3G. One of the best new features I’ve found with iPhone OS 3.0 on both the iPhone 3G and the 3GS is the ability to type in landscape mode, and this stand makes it even easier as it holds your iPhone at the perfect angle for landscape typing. With the Xtand you can keep your phone in clear view on your desk, and can rotate it to use the phone in both portrait and landscape mode. The Xtand is ideal for watching movies, browsing the internet or flicking through your music using coverflow. The Xtand is styled to match Apple iMacs and the new Unibody MacBook Pro. Having spent a lot of money on the iPhone 3GS, the last thing you’re going to want to do to it is damage it or scratch it, so a case is a worthwhile investment. Technically this isn’t really a case, but it gives the same amount of protection against knocks and scrapes without adding any extra bulk to your phone. InvisibleSHIELDs are a tough, thin plastic film that covers all of your iPhone 3GS. It has a non slip feel which reduces the chance of it slipping out of your hand. It also has an anti reflective coating that eliminates reflections and reduces fingerprints. By far this is our most popular Leather Case for the iPhone 3G and iPhone 3GS. It is hand made from premium leather and designed specifically for your phone. As well as protecting your phone, the Piel Frama cases have storage space for Bank/Credit cards and cut outs that allow you to use your headphones and charger while your iPhone is in the case. One of the new features of the iPhone 3GS was a built in Compass, great if you enjoy outdoors activities such as camping, hiking etc. If you do enjoy these kinds of activities and want to take your iPhone with you, then you’ll need a case that will keep your phone protected in some pretty harsh environments, and that’s exactly what the OtterBox cases do. They are a triple layered case that will withstand serious knocks. 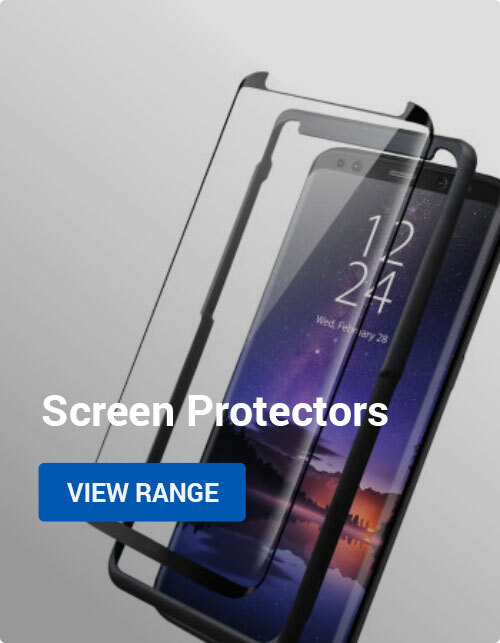 They consist of a Clear membrane to protect your screen, a High Impact polycarbonate shell that wraps around the iPhone and surrounding this is a strong silicone skin that absorbs bumps and shocks. Apple have improved the battery life on the iPhone 3GS, but realistically you’re still only going to get about a day out of a full charge. This Leather case has a built in battery that will charge your iPhone and increase talktime, standby time and music playback time. It has its own on/off switch, so you can turn it on only when your iPhone needs recharging. Unlike some products, this case doesn’t add excessive bulk or weight to your iPhone. You got one in the box with the phone, but if you’re anything like me, this will spend its life plugged into the wall or your home PC. Getting yourself a second cable will allow you to carry one with you or leave one at work so that you can charge your iPhone from your PC or Laptop. It’s simple and effective and will make sure you get to your destination with a fully charged battery. The Jabra SP700 does a lot more than you’d think. As well as being a Bluetooth Car Kit for handsfree calling in the car, the SP700 can stream music from your iPhone using Bluetooth and using its built in FM transmitter can then play your music through your car stereo speakers. When a call comes in, music playback will be paused automatically and the callers voice will also come through the stereo speakers. Most handsfree kits tend to suffer when you travel on motorways or go above 50mph, but as the call audio is routed through your stereo speakers, you can adjust the volume on your stereo to make sure that you can hear the caller. It’s portable too, so you can easily transfer it between vehicles. Battery life is fantastic with upto 14 hours talktime and over 250 hours stand by time. Parrot have always made fantastic car kits and the Mki range are no exception. There are three options available, the MKi9000, Mki9100 and the Mki9200. The main differences between them being the display screen that comes with them. I’ve chosen the MKi9000 as the best one for the iPhone 3GS because you don’t need an external screen. You can play music from your phone through the MKi9000 either by connecting the Dock Connector (which will also charge your phone) or you can stream it using Bluetooth. The Mki9000 will synchronise with your phone book, and supports voice dialing – even on the iPhone 3G. There is also a small remote that you can attach to your dash or steering wheel to control your music (Play/Pause and Volume only when streaming using Bluetooth). 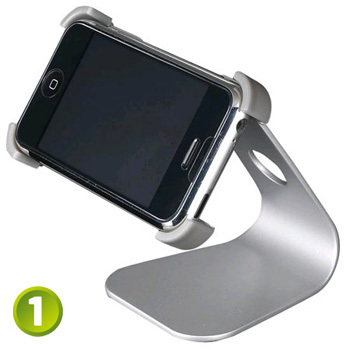 If you’ve not seen the accessory here that’s right for you, why not take a look at our full range of Apple iPhone 3GS Accessories. Buyers Guides, Mobile Accessories parrot mki9000, xtand. permalink.